Illus. Marine Lookout. 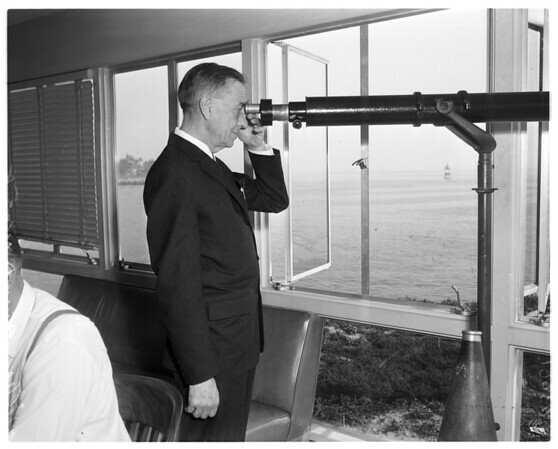 Takes last 'look-out' for approaching ships at Los Angeles Harbor! William D. 'Bill' King, 67, retires after 25 years as Marine Exchange 'lookout' during which he reported more than 50,000 ship arrivals and departures".